St. Patrick's Day has a global audience today that associate this event with partying and merrymaking. But for some of the Irish-Americans, this renowned festival is a cultural and religious celebration, honoring the death of Ireland’s saint and spiritual protector, St Patrick. But how did this celebration come about? How did St Patrick’s Day grow from being a solemn national tradition to a worldwide partying and merriment affair? 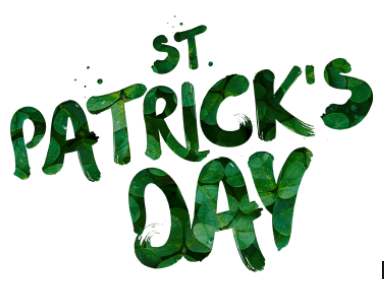 Let Social Scene take you on a quick trip down history lane and let’s see how St Patrick’s Day came about.Quick History of St Patrick’s Day. Held every 17th of March, the Irish celebrate the traditional death date of their foremost patron saint, St Patrick. He was known to be a priest who converted thousands in Ireland to Catholicism. He was such an important figurehead to Ireland’s history that his death day became Ireland’s national holiday in 1903. As the St Patrick’s Day celebration made its way to America, Canada and other parts of the globe, this festival has also paved the way for the world to know about the Irish culture, customs, and traditions.Today, not only did St Patrick’s Day become a day of the Emerald Isle’s favorite saint, but it also turned into a beloved worldwide celebration of that Irish pride coupled with feasting on delicious food, delicious drinks, and everything that’s green. Whether you're full-blown Irish or just sort of Irish-ish, you will always enjoy the activities that St Patrick’s Day brings. Here are some ways you can celebrate the Irish in you. What is wonderful about this festival is that you can go subtle or crazy with your clothing of choice. Others want to wear a simple shirt with a “Happy St Patrick’s Day” on it, while others want to stand out and wear the most perceived to be outlandish St Patrick’s Day fashion piece. But no matter how simple or wild you want your outfit to be, keep in mind that incorporating the color green with your gear is in during St Patrick’s Day. Couple it with a fitting piece of St Patrick’s Day accessory like a classic shamrock pin -- or even a rainbow button or a pot of gold necklace to summon that inner leprechaun in you. If you are feeling festive and would want to celebrate St Patrick’s Day a notch higher, you can even dye your hair green and have your face painted. Actors, when they get into their character, they study their roles in order to properly portray them. Just like an actor, you can also get into character -- your Hiberno-English role -- to celebrate St Patrick’s Day. How do you do this? By learning a few of Irish customs and traditions. Sláinte! (Pronounced as “slaan-sha”) is the way patrons give their toast and say cheers with a clink to their glasses. Sláinte is another way to say “For your health” or “I drink to your health”. Craic (Pronounced as “Krak”) This word you can definitely use on St Patrick's Day, but be forewarned, this might lead you to a potential misunderstanding. This saying has the capacity to sound awkward because it is pronounced as crack. Know, it is harmless phrase and just a greeting similar to “How are you?” in English and is best responded with a phrase “Divil a Bit” which means “Not Much”. Acting the maggot is a phrase used when a friend or someone close to you is acting like a fool. It can also be used for things that are acting up or are disappointing you for some reason. For example: If the internet taking a long time to download a video? Acting the maggot. A friend being offensive? Acting the maggot. Don’t you know that corned beef and cabbage, as well as lamb stew, are traditional Irish comfort foods? To be a better Irish on this St Patrick’s Day, enjoy eating these delicious and hearty meals. Other delectable Irish dishes would be Shepherd’s Pie, potato bread, and bangers and mash. 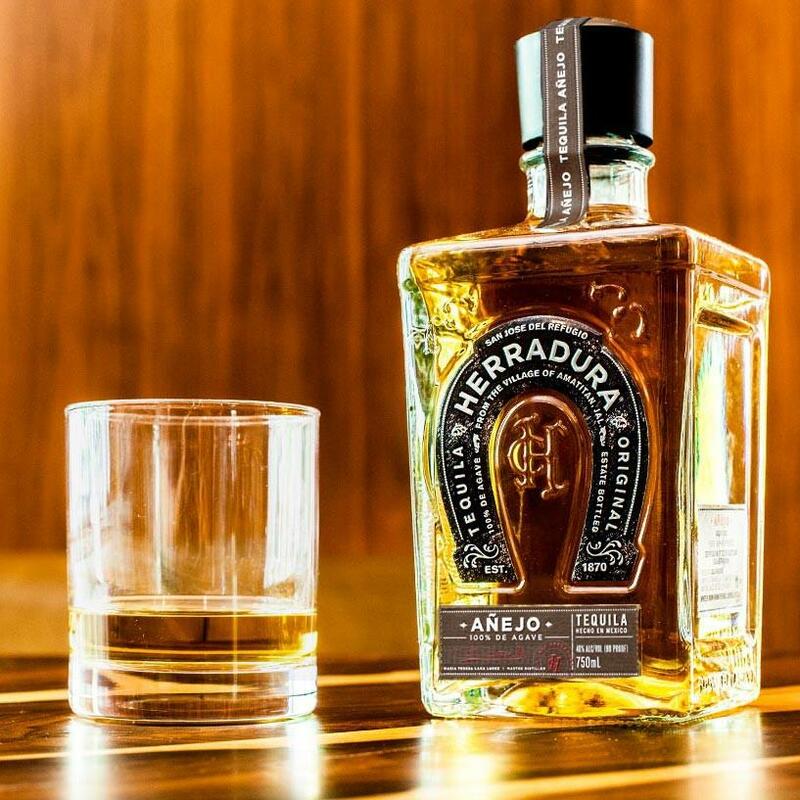 Pair it with Irish beers, like Guinness, and spirits, like Jameson whiskeys (note that whiskey with an ‘e’ is an Irish way of spelling ‘Whiskey’.) Also, do not forget to dye your food and drinks the color green and you are set to enjoy St Patrick’s day. The Land of Saints and Scholars is blessed to have a variety of incredible music styles. Folk, Traditional Irish, and Celtic tunes are sure to put you in a festive St Patrick’s Day mood. Some radio stations have special Irish music to play in the name of this day. There are also various compilations of traditional and modern Irish music in stores. If you are musically inclined, you can opt to learn how to play a traditional Irish musical instrument like the harp, the fiddle or the tin whistle.While you are celebrating St Patrick's Day with some awesome Irish tunes, how about match it up with a dance? Learn Irish dancing early on via online video tutorials or sign up for a dance studio that teaches Irish moves in your local area. Enjoy how to dance the jig or céili (if you prefer group dancing) and have a grand time this St Patrick’s Day! 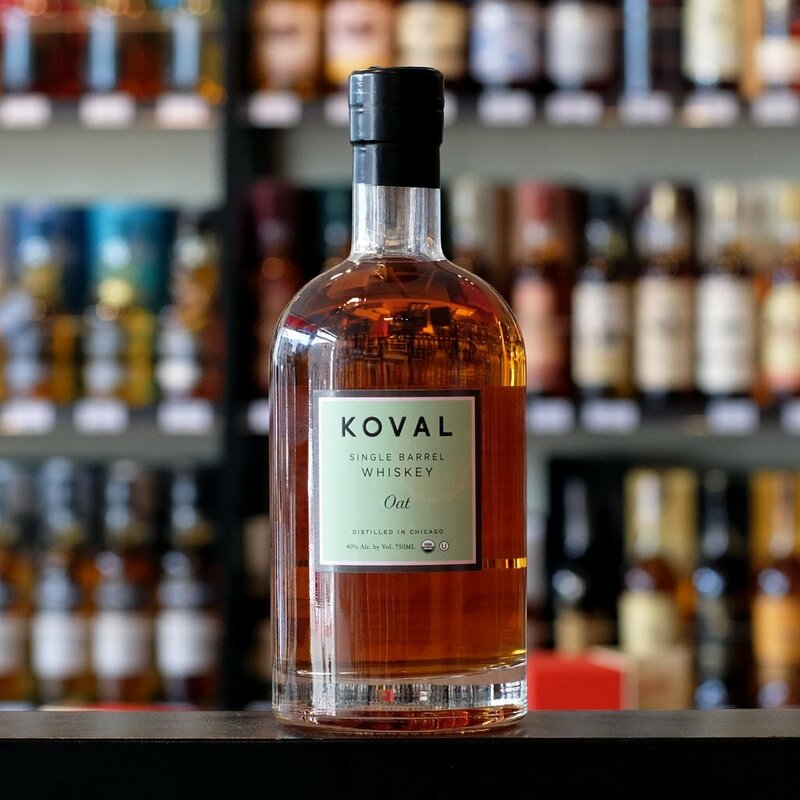 Nothing like a crowd of green and the best whiskey - join the St Patrick's Day Bar Crawl and make it your annual event - save with code DWF too! 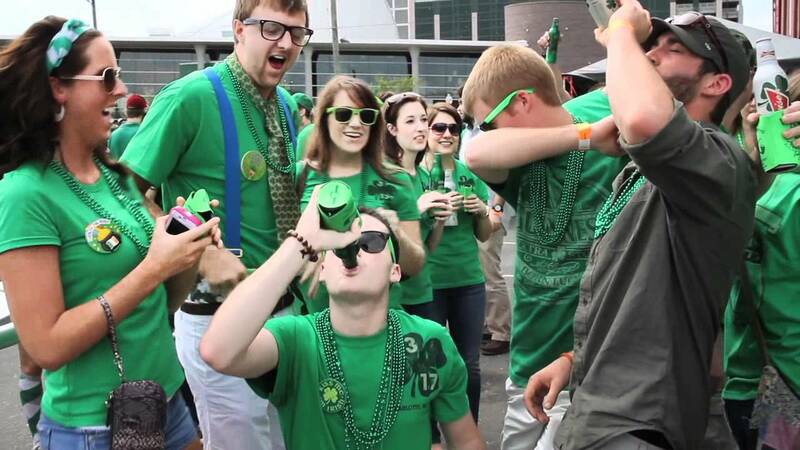 Check out the city’s St Patrick’s Day celebration. They have put up parades that highlight their beautifully themed floats and brilliantly attired participants. In addition to this, the parades are a way to showcase the area’s best dance troupes, musicians, bands, and gymnasts. You can either enjoy the parade as a spectator, or you might want to contact your city’s local parade association to get involved -- either by marching in the parade yourself or help out in the production of the parade or even organizing it. Love to celebrate this day in a low-key, low cost, quiet place? Have a happy St. Patrick’s Day themed party in your home. Put in a favorite Irish dish such as Irish stew with colcannon (mashed potatoes and cabbage) as well as your green beer and green cookies for your party and you’re all set to have St Patrick’ Day fun. Simply invite a few friends to come over and chill and hang out to drink a few Irish beers or look at Irish movies. Or if you want, you can go to the opposite extreme and have fun and amazing St Patrick’s Day activities and games, such as Gold Hunt or Shamrock Scrabble. 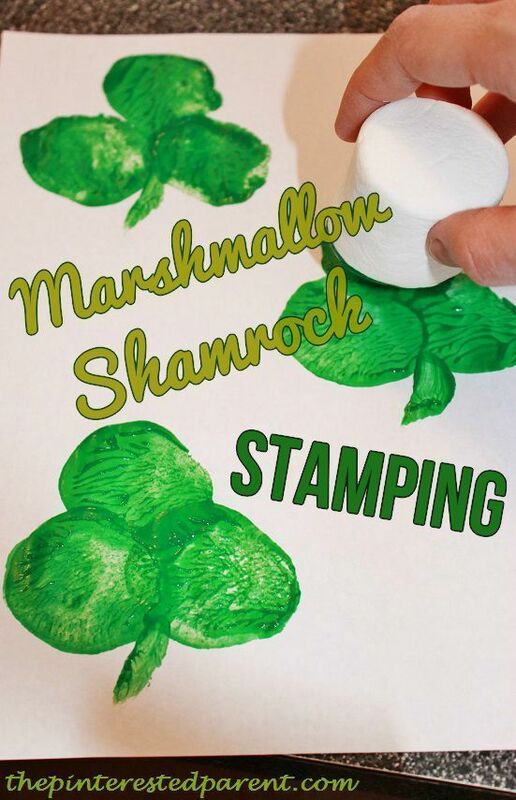 If you have kids (or you are a kid at heart *wink wink*) getting down with some old-fashioned arts and crafts is another inexpensive way to celebrate St Patrick’s Day. You may want to print off St Patrick’s Day pictures from the internet and get to coloring. Or create Irish flags, and once done, wave them around and say Happy St Patrick’s Day! Stay lucky this year with exclusive discounts on upcoming events in your city. Simply click below and make sure to check your inbox! If funds allow, plan and book your flight early on in order for you to travel the Emerald Isle without being late for a St Patrick's Day celebration. Going to Ireland itself is another definite way to celebrate the festivities of St Patrick’s day. It is known in Dublin, Ireland’s capital city, they usually hold a five-day St Patrick’s Day celebration. Dublin is also known to hold the biggest and the most splendid parade in Ireland. Also during these times wherein travelers from far and near stream into the city and the bars flood with locals and tourists alike with one goal in mind; to party hard and celebrate St Patrick’s Day. We are sending 2 people to Dublin for St Patrick's Day! Enter to win at WinATripToDublin.com. If you want to celebrate St Patrick’s Day in a quiet and peaceful way, you can certainly escape the hubbub by taking a trip down Ireland’s scenic countryside and experience a more laid back, more genuine version of the celebration of St Patrick’s Day. 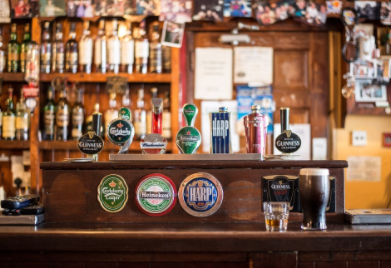 Once here, go to their lively pubs and relish a variety of excellent traditional and contemporary Irish tunes while being surrounded by a real Irish lot! Head on to your local pub and check out the scene. On St Patrick’s day, most of these bars and pubs are decorated to show love in honor of this day (but mostly to entice patrons to come to their place). 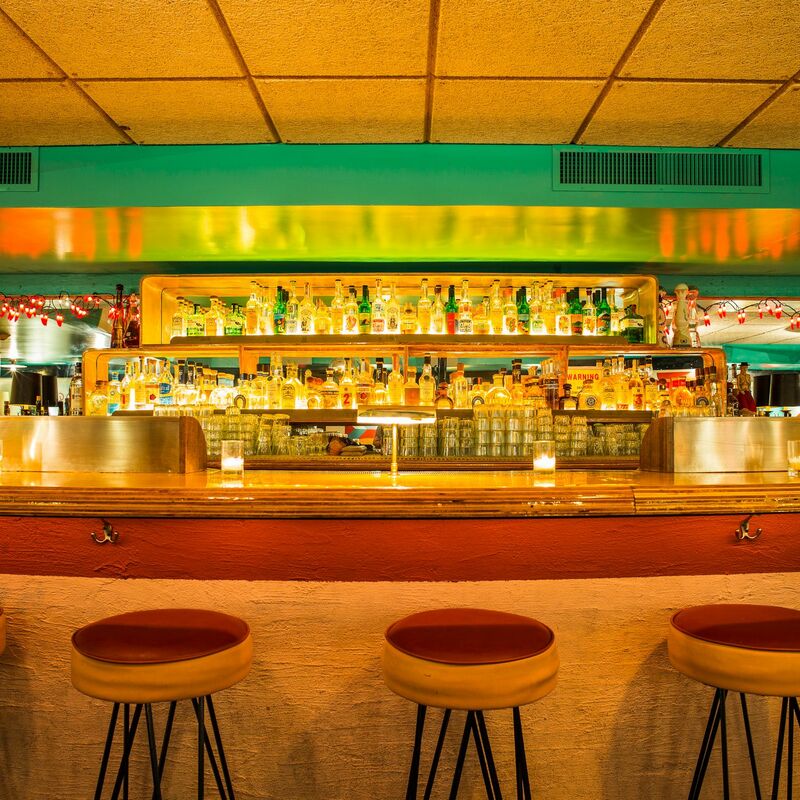 Many of these bars offer food and drink specials that are too good to pass up. 10. Better Yet, Level up to a Bar Crawl! 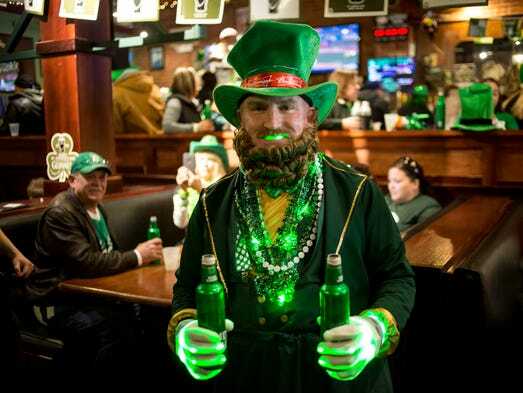 Bar crawls on St. Patrick's Day are a great idea to get in the mood and be one with the festive season. A bar crawl is a good excuse to get some of your best buds, explore the area’s bar scene and have a good time. 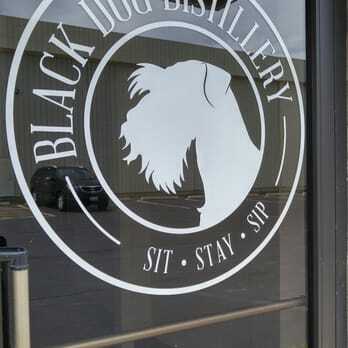 In March 2019, great food, free-flowing drinks, and fantastic bar crawl stops are to be expected. Social Scene offers a one-of-a-kind experience that is sure to change things up with the usual way you are celebrating your St Patrick’s Day festivities. Check out a bar crawl in your city at StPatricksCrawls.com or all of our events at BeSocialScene.com.